Posted by Cyril. March 20th 2018. Not only do our pets need regular physical exercise, they also require mental stimulation to keep their minds active. We’re not suggesting you sit your poodle down with some maths homework but getting creative with your time spent together will increase the bond between you and your dog. Border collies, poodles and German shepherds are well known as some of the easiest dogs to train, but that doesn’t necessarily mean they are the smartest dogs. Just like humans can be good at English but bad at maths, dogs can be great at communicating, but not so good at remembering where their toys are hidden. We can tell from this that a dog can be a genius in one area but can struggle to retain information in another. 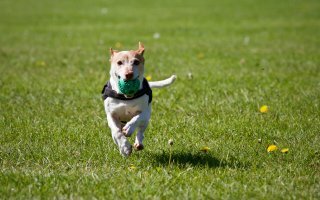 And while physical health should always be at the forefront of an owner’s mind, a dog’s mental wellbeing and progression is just as important. Get both of these factors right, and you will be able to enjoy a healthy and happy dog. How to Keep Their Minds Engaged? Many people say that a tired dog is a good dog, but a dog’s health relies on more than just how physically exhausted they are. You wouldn’t put your dog on a treadmill for an hour and expect them to get the same mental stimulation they would get from going outside and down to the dog park, would you? New smells, experiences and socialising with other animals and humans are all important to your dog’s mental well-being. There are plenty of toys and puzzles on the market to get your dog’s brain engaged and thinking in a new way. Puzzle solving games should start off easy, like knocking a plastic cover off a food bowl, then you can increase the difficulty of each task as they learn. Make sure not to make the challenges too hard or your pet may become frustrated and remember to always reward good behaviour. 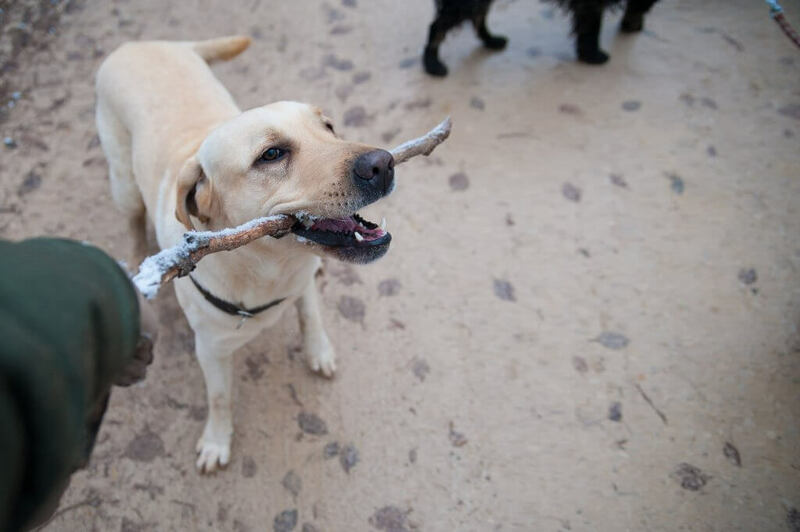 Working dogs will usually perform better in challenges like this, as they have more experience in active problem solving compared to lap dogs, however, it is important that all dogs get the opportunity to increase their brain activity. Even if you have a senior dog, keeping their brains engaged is an important part of their lives. Rachael Waller of The Woof Works commented on the matter saying: “Although physical exercise is necessary and helps keep your dog healthy, you need to do more than just wear them out physically. To help keep your dog happy and healthy, you also need to tire them out mentally. Mental stimulation helps make your dog’s life more interesting, rewarding and meaningful because they’ll be using their brain which, like ours, requires stimulation”. 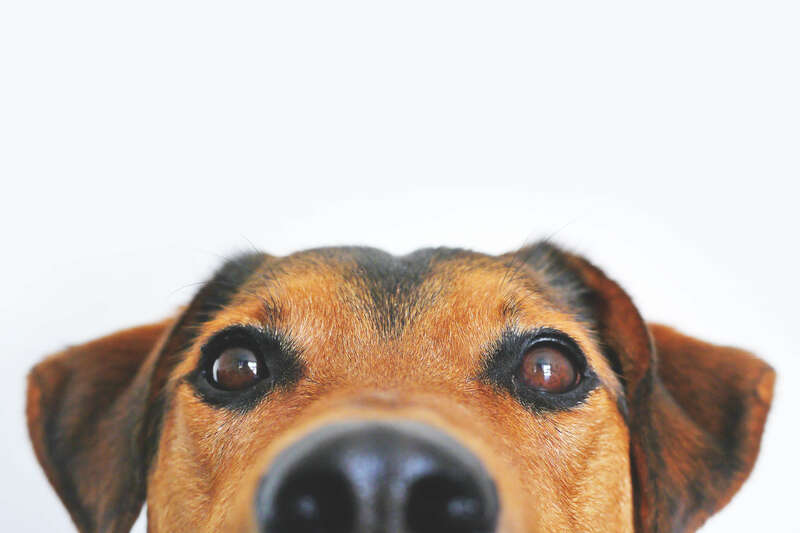 Try to save some time every day to get some brain training done with your dog. Many behavioural problems, like chewing furniture or hyperactivity, can stem from sheer boredom and a lack of stimulation. (MSD Veterinary Manual, undated). Although exercise is a good way to combat this, five-minute sessions of training or interactive play throughout the day can also help to alleviate these issues. This doesn’t need to be teaching your dog elaborate tricks and stunts, simply rehearsing old tricks or playing games can be a huge help. Every dog has different needs – where a husky will easily tackle a 5k run and still have plenty of energy left, a dachshund will most likely struggle to keep up. Finding the right balance for your dog is imperative in making sure they are enjoying their lives to the fullest.